Come see this 2011 Nissan Maxima 3.5 SV with Premium Pkg. Its Variable transmission and Gas V6 3.5L/ engine will keep you going. 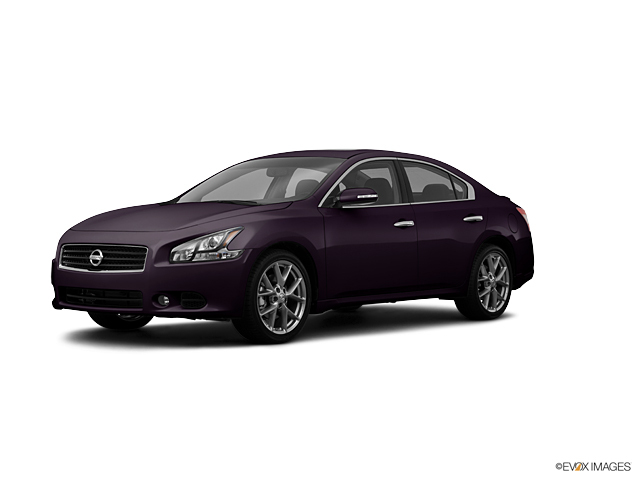 This Nissan Maxima has the following options: CRIMSON BLACK METALLIC, CAFE LATTE, LEATHER SEAT TRIM, [U02] PREMIUM TECH PKG -inc: HDD navigation system w/voice recognition, 9.3 GB Music Box hard drive, XM NavTraffic, XM NavWeather, 7" touch-screen color monitor, DVD playback, Bluetooth streaming audio, [R10] REAR SPOILER, [P01] PREMIUM PKG -inc: dual panel moonroof w/pwr retractable sunshades, pwr rear sunshade, xenon HID headlights, heated exterior mirrors, auto-dimming driver exterior mirror, exterior mirrors w/reverse tilt-down & memory, auto entry/exit system w/dual-driver memory, premium leather wrapped heated steering wheel w/characteristic stitch, paddle shifters, pwr tilt/telescopic steering column, premium leather seat trim, heated front seats, climate controlled driver seat w/memory, rear bucket seats w/trunk pass-through, large rear seat fold-down center armrest, eucalyptus wood-tone trim, premium mood lighting, rear pwr windows w/one-touch auto-up/down, 7" color monitor, RearView monitor, 2.0 GB Music Box hard drive, aux audio/video input, USB input, iPod net in center console, shift knob w/characteristic stitch, [M92] TRUNK SUB-FLOOR ORGANIZER W/FIRST AID/EMERGENCY KIT, [L92] FRONT/REAR FLOOR & TRUNK MAT SET, Zone body construction, XM satellite radio *N/A in AK or HI*, and Warning lights -inc: fuel level, door ajar, oil pressure, windshield washer fluid. Stop by and visit us at Cavender Buick GMC West, 7400 West 1604 North, San Antonio, TX 78254. Check out this 2015 Nissan Altima 2.5 SV. Its Variable transmission and Regular Unleaded I-4 2.5 L/152 engine will keep you going. This Nissan Altima features the following options: SAHARAN STONE, BEIGE, CLOTH SEAT TRIM, [Z66] ACTIVATION DISCLAIMER, [X02] COLD WEATHER PACKAGE -inc: Heated Leather-Wrapped Steering Wheel, Heated Front Seats, Heated Outside Mirrors, [L93] FLOOR MATS PLUS TRUNK MAT (5 PIECE) -inc: Carpeted, [K01] CONVENIENCE PACKAGE -inc: rear passenger A/C vents, and mood lamp in roof console, Auto-Dimming Rear View Mirror, Manual Folding Outside Mirrors, LED turn signals, HomeLink Universal Transceiver, Power Sliding Moonroof w/Tilt, Compass, Side Cargo Net, Front Passenger Window w/1-Touch Auto-Up/Down, auto reverse feature, [B92] BODY COLOR BODY SIDE MOLDINGS, [B10] SPLASH GUARDS, Window Grid Diversity Antenna, and Wheels: 17" x 7.5" Aluminum. Test drive this vehicle at Cavender Buick GMC West, 7400 West 1604 North, San Antonio, TX 78254. Look at this 2015 Nissan Pathfinder SV. Its Variable transmission and Regular Unleaded V-6 3.5 L/213 engine will keep you going. This Nissan Pathfinder has the following options: Valet Function, Trip computer, Transmission: Xtronic CVT (Continuously Variable), Transmission w/Driver Selectable Mode, Tailgate/Rear Door Lock Included w/Power Door Locks, Strut Front Suspension w/Coil Springs, Steel Spare Wheel, Single Stainless Steel Exhaust, Side Impact Beams, and Remote Keyless Entry w/Integrated Key Transmitter, Illuminated Entry, Illuminated Ignition Switch and Panic Button. See it for yourself at Cavender Buick GMC West, 7400 West 1604 North, San Antonio, TX 78254. Check out this 2015 Nissan Pathfinder SV. Its Variable transmission and Regular Unleaded V-6 3.5 L/213 engine will keep you going. This Nissan Pathfinder features the following options: MAGNETIC BLACK, ALMOND, CLOTH SEAT TRIM, [Z66] ACTIVATION DISCLAIMER, [L92] CARPETED FLOOR MAT (4-PC SET) -inc: 1st, 2nd, and 3rd rows, [B94] REAR BUMPER PROTECTOR, [B10] BLACK SPLASH GUARDS 4-PIECE, Wheels: 18" Alloy, Valet Function, Trip Computer, and Transmission: Xtronic CVT (Continuously Variable). Test drive this vehicle at Cavender Buick GMC, 17811 San Pedro Avenue, San Antonio, TX 78232. Check out this 2017 Nissan Armada SL. Its Automatic transmission and Regular Unleaded V-8 5.6 L/339 engine will keep you going. This Nissan Armada has the following options: PEARL WHITE, CHARCOAL, LEATHER-APPOINTED SEAT TRIM, [Z67] TPMS ACTIVATION, [Z66] ACTIVATION DISCLAIMER, [N92] ILLUMINATED KICK PLATES, [L92] 2ND & 3RD ROW CARPETED MATS, [E10] SPECIAL PAINT - PEARL WHITE, [B92] ROOF RAIL CROSS BARS, Window Grid Diversity Antenna, and Wheels: 20" Machined Finish Painted Alloy. Stop by and visit us at Cavender Buick GMC West, 7400 West 1604 North, San Antonio, TX 78254. Check out this 2012 Nissan Titan SV. Its Automatic transmission and Gas/Ethanol V8 5.6L/ engine will keep you going. This Nissan Titan features the following options: BLIZZARD, ALMOND, SEAT TRIM, [W09] TEXAS PKG -inc: chrome billet grille, 18" chrome clad wheels, chrome step rails, chrome door handles & mirrors, Texas Titan badging, [K02] SV VALUE TRUCK PKG W/TEXAS PKG, [B94] REAR BUMPER STEP ASSIST, [B93] SPLASH GUARDS, Vehicle speed-sensitive pwr rack-&-pinion steering, Vehicle immobilizer system, Vehicle dynamic control (VDC), and Variable intermittent windshield wipers. Test drive this vehicle at Cavender Buick GMC West, 7400 West 1604 North, San Antonio, TX 78254.